What can I say to justifiably praise this deep, joyous and poignant book? Christopher Somerville is a travel writer, specialising not in exotic tales of derring-do in sub tropical or polar Lonely Planet inaccessibility, but in travelling, on foot, through the hidden and not so hidden highways and byways of these isles. This particular book, taking as its springing-off point a folk song entitled ‘The January Man’ recounts the months of the year, and some walks undertaken in those months in different parts of the British Isles. Somerville writes most beautifully, evoking the landscape itself, painting the vegetation, illuminating the chatter of many birds, so that the armchair reader, feverishly polishing their boots and raring to get outside, can, in imagination pour themselves into the territory the author is describing. But he writes about so much more than this. Whilst walking in place, he also walks in time. Some of these, in fact most of these, are walks he has done decades before, so he is accompanied by his younger self, and, most poignantly, by his dead father John. John was a keen walker. The relationship between John and Christopher was at times a little estranged, difficult and distant, caused by the times and the great and rapid change in cultures and generations, post war. John had a reserve to do with that war, and also due to his occupation – he worked at GCHQ Cheltenham, so discussions of what he did were off-limits. The reserved father and the child of the 50s and 60s found the beginning of meeting places in walks they took together. Walking in the present, often meeting people who recount their lives and the lives of their parents in the specific regions he visits, he is also meditating on history, geography, culture and deepening his connection to his own family, whether his loved, now gone, father, or appreciating his present connections to his family and friends. Celebrations, often traditional and local of the passing of the seasons are woven through this book; folk songs, folk music and dancing connect present with the past. The only thing I missed through being lucky enough to have this as an ARC for review, is that there will be maps and walkers notes when the book is published, not available here. Somerville is a rambler and a rover, all over this land, And, to be honest, his writing holds the benison of rambling and roving – not to lose or to fox you, but to surprise and stop you, making you draw breath and notice. This is far from a linear journey, this book. Rather it is a spiders web, suddenly sparkling, where every thread makes you notice the sure connections to every other thread, a woven whole. 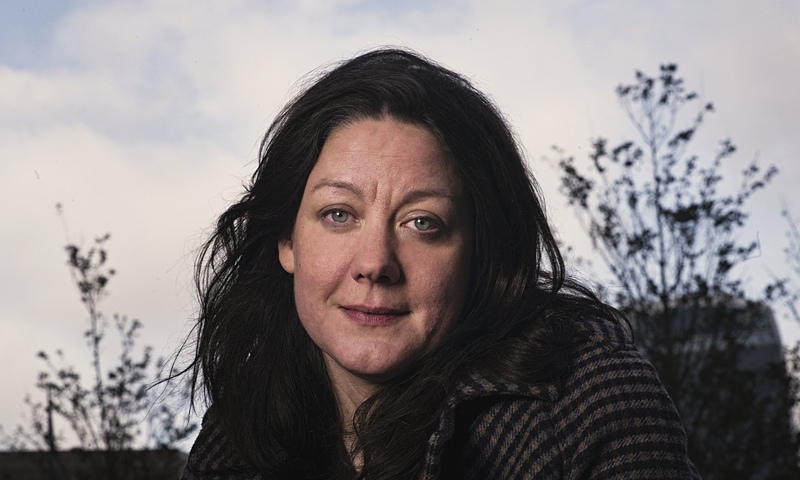 Helen MacDonald’s aching, raw story of loss and relationship speaks so much of longing that reading it is as much about being fed, sustained by grief, as her hawk is fed by the death it has dealt. Indeed the two, love and death, are linked. We love because we will lose, or be lost to, that which we love. It’s the presence of death which fiercens the love. Mabel, Helen’s hawk, is of course overwhelmingly real – but that reality is thickened by all the metaphors accreting to her. The potency is the potency of what the hawk represents, in history, in literature, in imagination to us. There are 3 major strands in this book. The first, which created or re-created all the rest, is the loss of MacDonald’s father, Alisdair MacDonald, the photojournalist, and the bottomless grief that brought a sundering of relationship, an absence. And, finally, she examines another writer T.H. White. White was also a passionate hawker. He was a man painfully within his challenging contradictions. Like the goshawk, one with a charged, reactive nervous system. 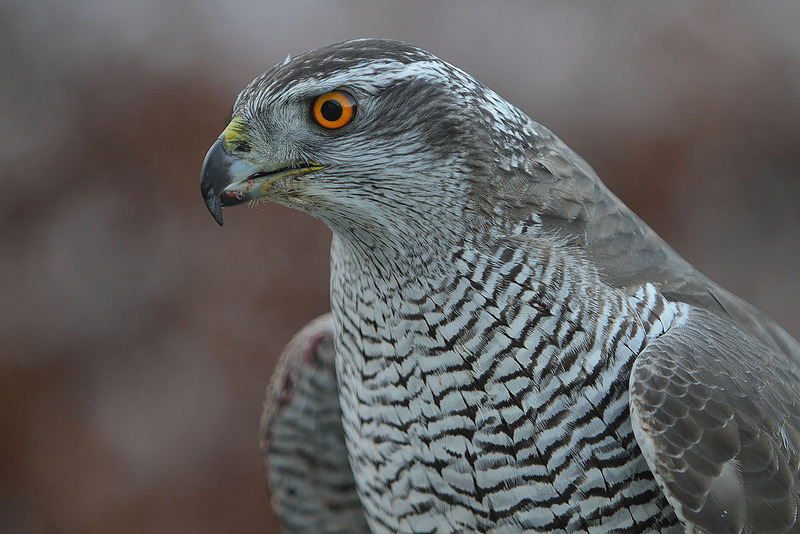 White had recorded his own story of relationship with goshawk, The Goshawk. I hope that the success of MacDonald’s book encourages the re-publishing of White’s, as I’m now anxious to read it. Much of White’s account (there are plenty of extracts in MacDonald’s book) is dark, anguished, irrational. And much of MacDonald’s book is also outside the rational – there are many accounts of her vivid dreams, the boiling of raging emotions, the unendurable overwhelm of feeling. But this is part of the power of this book. We are not creatures of reason alone, reason the visible tip of a fiery iceberg beneath. In my time with Mabel I’ve learned how you feel more human once you have known, even in your imagination, what it is like to be not. And I have learned, too, the danger that comes in mistaking the wildness we give a thing for the wildness that animates it. A book this raw and personal somehow calls forth the raw and personal response from the reader. 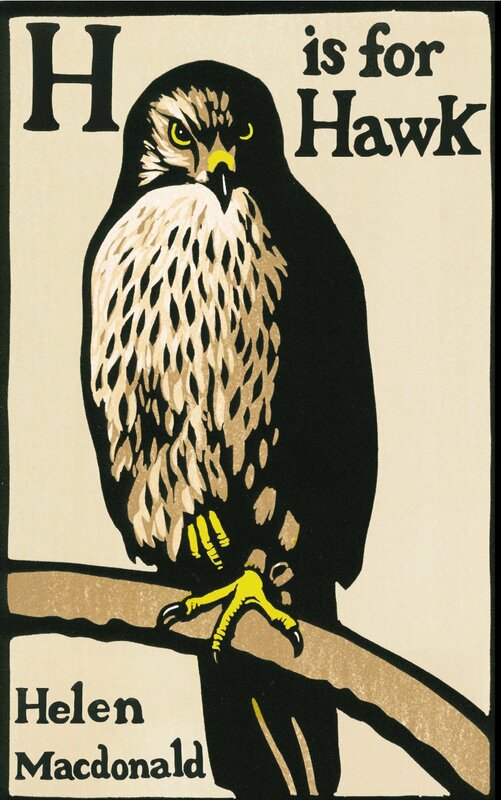 I would have liked to have read it slowly and savouringly, and maybe this is what I’ll be able to do, at some point, on a re-read, as I know the writing is very fine, and the information, about hawks, landscapes, T.H. White, and more, of interest. But I was not able to read it like that. Instead, a savage gulping down of chunks of it, thrown this way and that by feeling and sensation. Longing, I suppose. That desire to experience the world through the sinews of some other than human understanding. Just as some people have perfect pitch, which they can then learn to tune even more finely, and some have eyes which are attuned to see ever finer gradations of tone, colour and shade, and can then further train and refine this gift, some, I believe, resonate with a precision and refinement towards words, language itself, and are capable of conceptualising and describing the world new-minted, fresh, present. And will also then further refine this resonance. Laing has written a walking journey the length of the River Ouse, which effortlessly weaves the long history of the planet, of geological time and evolution, with recorded historical fact, with the industry of place, with social history – and with the short lives of individuals, and how they connect to place. She renders all fascination, and the powerful presence of her writing had me reading with a kind of breathlessness, heart and lungs almost afraid to move on, so much did I want to ingest and inhabit each step of the journey, each sentence of the book. Presiding over all, for Laing, and moving through the feel of the book, is Virginia Woolf, who, as we know, on a day in 1941 walked out into the Ouse with a pocket full of stones. Woolf was a woman perhaps too finely calibrated for the world, sharing with some other writers with an exquisite sensitivity to the natural world, a feeling too attuned to unsheathed nerve endings, unmyelinated. But what such writers can do is perhaps to waken and unwrap those of us who are too tightly sheathed AGAINST perception. Laing solidly walks the journey, feet well on the ground, noticing, noticing. I could have taken virtually any and every sentence from her book to illustrate the harmony, perception, reflection of her writing. I did start underlining, but quickly abandoned, as the book itself needs underlining. I too am left wondering the story of that coat…….and other snags to possibilities she uncovers and suggests, on the journey. She is being compared to W.G. Sebald in her writing and her subject matter, winding the reader in, still further in, worlds within worlds, to the source. I don’t think this is mere marketers puff. Elizabeth Gilbert’s book title, The Signature of All Things, relates to the ancient, metaphysical herbal theory of The Doctrine of Signatures, originally espoused by Jacob Boehme, which found its way into the Renaissance Herbals like Nicholas Culpeper. This is a wonderful, historical novel which will particularly delight anyone with an interest in botany, the development of ideas which led to the publication of Darwin’s Origin of Species, trail-blazing self-taught female scientists, and the dichotomy and struggle between mysticism and pragmatism. The central character of this book is Alma Whittaker, born at the very beginning of the nineteenth century. She is the daughter of a couple of very plain speaking, wonderfully forthright people for whom plants are a passion and a livelihood. Daughter of an English under-gardener and a Dutch horticulturalist, Alma is brought up in Pennsylvania. Possessed of no beauty but fierce intelligence and spirit she is raised as a freethinking intellectual. Her family circumstances are odd, quirky, eccentric and then some. She is spirited, has dry wit, strong sexual drives which unfortunately are a torment rather than a delight since she does not possess either sexual allure, nor does she fit the mould expected, as the mores of the early nineteenth century look for cultivation, rather than plain-speaking, and modest, flirtatious, male-ego bolstering whims, frills and furbelows rather than a willingness to argue, debate, question and ridicule stupidity. Alma is an utter delight however for a reader, as it is her feisty, intelligent, curious nature, her very delight in the processes of life itself, and her insatiable thirst to know about the workings of things which is captivating. During the first hundred or so pages I was absolutely convinced this was a novelised biography, so deep and detailed and involved is all the botanical information, delivered with such delight and passion. Particularly as various naturalists, plant specialists, explorers and scientists make tangential appearance in these pages – Joseph Banks, Darwin, Alfred Wallace, Captain Cook. So I searched for the papers published by our bryologist Alma Whittaker and found………….well what I found made me admire Gilbert’s work even more! This is a novel which touches on big ideas – which globe trots England, Holland, Pennsylvania, Tahiti, which is quite forthright about female sexual desires, but is not written to titillate, which is at times enormously funny as well as incredibly sad and suffering, and overall, because of Alma’s nature, overflows with delight in the messy stuff of life itself, its anguish and its excitement. If you only want the page turn of story, there might be frustrations, because our heroine has to linger at the page turn of thought, debate, analysis – it is why does this happen which is the driver, rather more than `and what happens next’ – though much DOES. My only cavil (as someone who loves botanical plates) I wanted MORE of those lovely black and white line drawings, to pore over and savour. There are a lot of oppositional tensions in this book, which get explored both in intellectual argument between characters, and in the friction and oppositions between characters themselves, and what is playing out in the wider world, both scientifically and politically. I thoroughly recommend this big rambunctious book and its unrefined, forthright heroine whose presence is an affront to prissy refinement! Richard Mabey is a naturalist whose analytical scientific training is married with a personality which is of a strong feeling, imaginative tone, which causes his relationship with the natural world to be strongly congruent with the sense of dynamic mystery in nature which infuses the poetry of the Romantics and Metaphysicals. For me Mabey’s writings on the natural world are as perfect as they can get. Analytical observation and objective research reins in the tendency to become febrile with ineffable meaning, and the sense of the numinous ever present prevents a dissection which kills the essence it is trying to understand. In this short and rich book, he examines the natural world through the five senses and that ‘sixth sense’ which he calls a sense of location or place, which may be linked to a felt sense of the earth’s magnetic field. Each chapter, with its marriage of fact and, not fancy, but feeling about fact presents many riches for thoughtful visioning. However it was the chapter on the sense of hearing, which focused on birdsong, analysing something deep and wonderful about music, its effect on soul and sense, which I found the most potent and rich of all the potent and rich chapters. “Taking his cue from the phrase …. This short book is definitely one for the re-read and re-read again and again shelf, rich in anecdote, meaning and juicy factual nugget! However, as he moves South, walking with his friend the late wonderful Roger Deakin, he begins to shift emphasis, and ‘sees heaven in a grain of sand’ – the wild is not only far away and up mountains, the wild is also the untramelled, fertile growth of green things, the way nature reclaims landscapes, though of course, even this is under threat as we rip out hedgerows, tarmac the earth and lay roads. Macfarlane shifts his view from ‘big wild’ – high snow capped mountains, harsh and cold, to small, almost secret wild, for example, the mysterious ‘hollow ways’ relics of our past walkings, of landscapes eroded by feet, hooves, cartwheels and water, to form hidden ravine type lanes, particularly in the chalklands. I also really was taken with his exploration of mapping, and the difference between our measured, linear maps – OS and road maps, and another kind of mapping, which tells a story and is the narrative of a person or a community in connection with their landscape. The book also serves as the story of a lovely kindred soul friendship between him and Deakin. The warm, lyrical and thoughtful account of a family’s relationships with the wild birds who have consented to share house space with them is a beautiful read, by turns informative, reflective, mystical, tender and amusing. Woolfson’s writing both details the individual relationships she has with each ‘companion bird’ who stalks her house – ‘Top Bird’ seems to be Chicken, the crow, and also makes some very telling points about mankind’s troublesome, often arrogant and blinkered attitude to the other species we share the planet with. For example…..’bird brain’ is used as a term of abuse to indicate lack of intelligence. More modern understanding of the anatomy and physiology of avian brains has re-categorised specific bird brain structures and functions, leading to a newer understanding that relative to their overall size, some birds have very big brains indeed, particularly the areas of the brain associated with memory; and, particularly in some species – most notably the corvids, a big fore-brain, comparatively equal, given size, to primates! 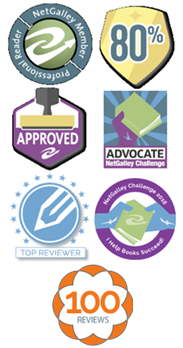 The scientific and the personal reflection and anecdote seamlessly are woven together. I learned much from this book – even if I could never be as laid back and tolerant as Woolfson in my cross-species relationships. Corvids habitually ‘cache’ and hide all sorts of items, both edible and non-edible. Woolfson casually recounts how Chicken would cache pieces of flaked fish in the turnups of her jeans! Off to respectfully share some time and space with the crows in my local park, if that’s OK with them! I can only concur with the praise heaped on Scottish poet Kathleen Jamie. This is writing about the natural world of a very high order indeed, engaging with beautiful and precise descriptions of what she sees and experiences in a very satisfying way, but, even more pertinently, taking off into other philosophical and thoughtful areas. It is far more than beautiful descriptive prose about birds wheeling against the skyline or the majestic loneliness of mountains against the horizon. So, for example, one essay about gannets on a gannetry beyond the Shetlands, has her musing (this being a nursery after all) about her own children, and the different relationships between mother and child in other species. Elisabeth Tova Bailey’s long meditation on, of all things, a snail, is a beautiful thing. A modest, unostentatious and tender account of one year confined to a sick bed, at times close to dying, kept alive in hope and spirit by connection with a snail. Life slowed down to simplicity and snail time as living at human speed becomes impossible. Oh, and if you think ‘well I’m not the least interested in snails, horrid creatures’ prepare to be seduced into seeing a snail from a changed perspective, gently shown the blinkered quality of your previous snail view by this delightful snailscape! Admittedly Tova Bailey’s subject is rather more unusual – many of us love roses and butterflies, and both of them have acquired mythological and mystical connections – but Snails??? Prepare to be enchanted.